Today the ending of one of the best chapters of my life was being written. I flew to Moscow on the 16th of October and arrived on the 17th. It was a difficult trip for me because I had to leave my grandmother who wasn’t feeling well to go on this trip. I was nervous the entire flight and Hamid who was accompanying me kept talking to me and trying to calm me down. The reason for my trip was to attend the official welcome back ceremony. Because of my request, the Russian Space Agency had broken tradition to accommodate my schedule and was holding this event two days earlier, so I could not miss it. I had participated as an observer in the ceremony held for Expedition 12 crew members and Marcos Pontes, the Brazilian astronaut. I remember I was very excited because the morning of the ceremony, I had been able to catch Marcos Pontes, Bill McArthur, and Valery Tokorev outside of the dormitory and take a picture with them. I knew every step of the ceremony. First the astronauts and cosmonauts being honored would be taken to the huge Gagarin monument in the middle of Star City, where a military band plays a march as they place flowers at the foot of the statue. Then they would walk down the big corridor that leads to the House of Cosmonauts, which is the big community center in Star City that houses the Gagarin museum. People, photographers and journalists gather at the statue and follow them to the main attraction — the welcome back speech at the Auditorium. 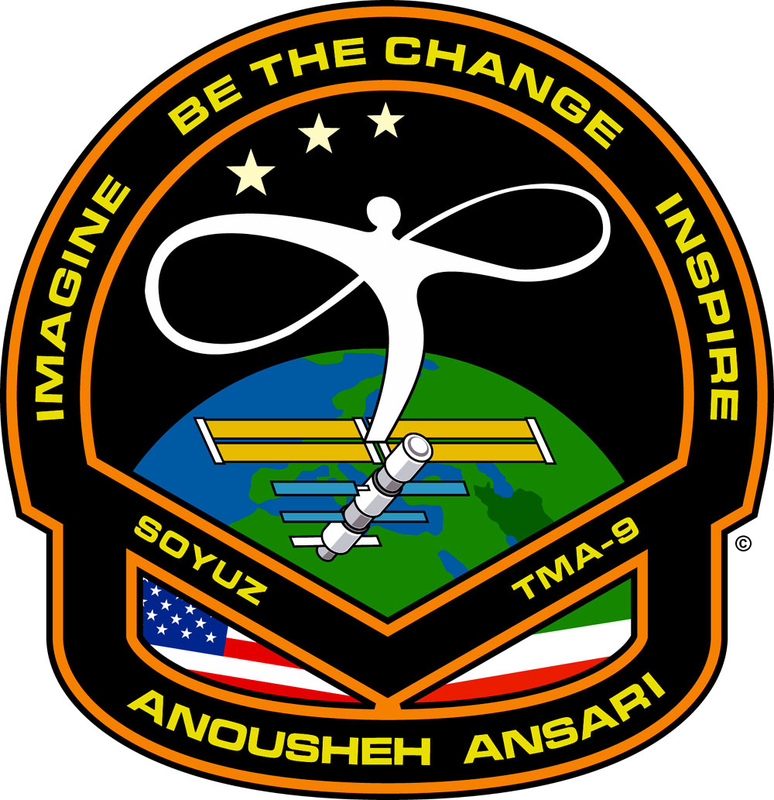 At the ceremony, the crew is presented with awards and gifts from representatives and the head of the Space Agency, Air Force, Search and Rescue Team, the Prime contractor and General Design company, etc… Each person comes up to the stage and says a few words about the success of the mission and lessons learned, and then presents their gifts. At the end, each of the three crew members are given an opportunity to speak. I had written my speech in English and had asked a Russian professor in Dallas to translate it for me. I wanted to deliver my speech in Russian because I knew how much the people in Star City would appreciate it. I knew my pronunciation would be less than desirable and it would make it hard for people to understand me but I knew they just wanted to see me make an effort. The plane ride was long and I could not sleep at all. As we were approaching Moscow, my anxiety was increasing by the minute. We finally landed and after a long wait through customs, we were on our way to Star City. I had arranged a party that evening for all my instructors, trainers, and everyone who had helped me in one way or another during my training time there. I also had a couple of press interviews right before the party, and my schedule was packed for the next two days. We drove through the usual traffic and finally arrived in Star City around 3:00 pm. It felt strange to be back there. Driving down the road where I used to walk everyday to class reminded me of the happy days I had there. It was hard for me to believe that I had already gone to space and now I was back in Star City as a Cosmonaut. It all seemed like yesterday but at the same time it felt like a distant memory. I enjoyed living a simple life. Life seemed to be less complicated and all the small things that you usually worry about at home were not important anymore. At home I would drive to three different places to make sure I would get the right products that I liked for breakfast or for my hair. Here in Star City, I could not buy any of them and I learned that I can manage without a lot of things… even hot water. Having hot water was hit or miss, so every morning that I would wake up and have clean hot water in the shower, it was a good day for me. I started paying attention and enjoying my surroundings more… In Dallas, I would drive a car everywhere but here I had a choice between walking or riding a bike. I walked most of the time and enjoyed watching the change of seasons. I watched as the snow started to slowly melt and the trees started to grow new leaves. I watched as the ice on the lake in front of my dormitory started to melt and people came for fishing. I watched as the tulips started growing in the gardens and butterflies started flying… I watched as life was starting again and I noticed how much I enjoyed being so close to nature. In Dallas spring would come and ago and I would hardly notice any of its beauty. In cities, we are surrounded by glass, plastic, and steel and we start living an artificial life without any appreciation for the beauty that surrounds us. We become isolated and detached from our environment… Being so close to nature and being able to see it, smell it and touch it gave me a great sense of joy. Even more interesting to me was the fact that none of these things bothered me. If I was back in Dallas and had to be in a non air-conditioned room, I would probably complain for days but here it seemed okay… I was there for a much more important mission and everything else seemed unimportant to me. Life was simple! As the summer was coming to an end, I was ready to go home and see my family. I knew that the training was coming to an end and I was making a list and planning for things that I wanted to accomplish on my flight in 2008. Since I had my trip to look forward to, I was not sad and I just wanted to go home and start planning my trip. And then… all of a sudden… my life changed… and before I knew it, I was flying to ISS. Now that I was back in Star City, I felt lost… I didn’t know where I belonged… Life was going on as usual… the instructors were preparing and presenting their material to the new trainees, and astronauts and cosmonauts were going from one classroom to the next… I felt disconnected from it all and I missed it really badly… It was like graduating from college and coming back for a visit. Everything looked familiar but at the same time different… You see students walking by and life on campus going on as usual but you are no longer part of it and you wish hard that you were. It is almost a painful feeling. All these memories flashed back in my head as I was approaching the dormitory. We were staying there for the nighAs we walked in with our suitcases, Jeff Williams walked in and told me he was going up to NASA office for a video link with the Expedition 14 crew onboard ISS and invited me to join them… I was so happy… I dropped my suitcase there and ran to the 2nd floor. Pavel was already there and the video link was up. Mike L.A. and Thomas Reiter were already there and Misha Tyurin joined them later. It felt sooooo good talking to them. I missed being there so much and just seeing them, floating in front of the camera and talking about life onboard the station, made me feel part of the crew again… Mike asked me about my interview with Oprah. He had heard about it but had not seen it. Then he asked me if my trip seemed real or just like a dream. I told him it felt like a dream and he seemed to understand the feeling. I guess even for professional astronauts, their time in space is dreamlike and surreal… I told them that I really missed them and Mike said, jokingly, “Well, come back with Peggy!” I said “I wish I could! but Hamid told me I have to work hard to make money for my next trip” — J Before we knew it, the time was up and the video link ended. It felt so good to talk to them and it energized me… I went downstairs to my room with a big smile to prepare for my interview. They also brought me gifts and souvenirs to take home. One was a beautiful traditional scarf, from the lady doctors and nurses, that I wore the next day to the ceremony. My Russian instructor gave me a magazine that had my picture on the cover with the title “the New Star.” Everyone was so sweet and appreciative. I told them all that this is not goodbye and that I would be back in March for Expedition 14’s landing and would see them again. I returned to my room around 9 pm and had to stay up for another interview at 11:45 pm. I was exhausted… it had almost been 32 hours without sleep. The next morning I had another interview and the official flight debrief. This is the meeting when they review all the comments and suggestions that they had gathered post-flight, during the quarantine. Around 1:30 pm we all gathered in the lobby of the dormitory where I was staying and prepared to go to the ceremony. I had very little time to practice my speech but I decided to give it a try and to do my speech in Russian. Just like the ceremony I attended before, one by one the heads of different agencies came to the stage and congratulated us. What surprised me was all the kind words that they specially said about me. They called me part of the crew and a very courageous individual. They even presented me with a several medals. I was so touched… one of them even said that I had inspired women in Russia and that they now have a woman candidate in the program. By the time all the speakers finished, we each had a mountain of flowers and many boxes of medals, pictures, and other souvenirs in front of us. After Pavel and Jeff delivered their speech, it was my turn. I was the last one to speak… I was nervous and my voice was trembling a little. I was very emotional too and that made it even more difficult for me to read the speech. I delivered the speech as best as I could and I could tell I was reaching the audience, since they would interrupt me with their applause.